The larvae of this species feed on both native and introduced vines in the Asclepiadaceae (Apocynaceae s.lat.). Mature larvae are basically white with a black band on each segment with yellow spots; head white with black triangular markings. 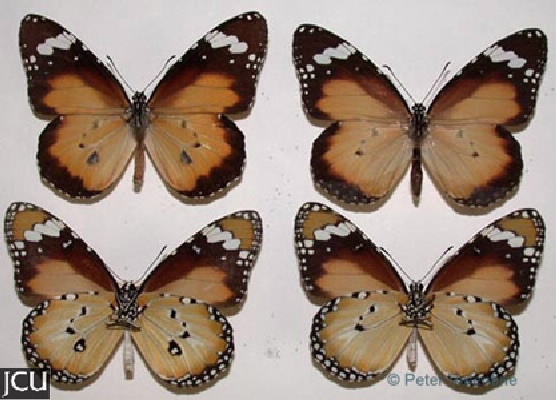 Adult upper surface is tawny-orange to a light brown orange colour with black margins, some white bands and spots on fore wing; lower surface has black margins encircling numerous white spots.